Chubb has been insuring cars since they were first invented - everything from everyday cars to high-end, luxury vehicles. They respond quickly and professionally to our customers, regardless of whether they're in a small accident or a large catastrophic event. Chubb insists on the highest repair standards to keep our customers safe. Simply stated, Chubb's expertise gives them an advantage over the competition. They can say this because over the past five years, they've resolved 100,000 auto collision claims involving complex vehicles. Because half of their fleet is comprised of European cars - known for being more complex - they have the expertise to manage any vehicle repair. Chubb's elite team of Auto Technical Specialists serve as your client's safety advocate by accessing specialized guidance on complicated repairs or hard to obtain parts. They ensure that vehicles are repaired according to manufacturer's specifications, or not at all. Customers can choose a dealership, local body shop or Chubb-approved Masterpiece Auto Preference Services (MAPS) shop for repairs. MAPS shops are pre-certified, based on their skill and expertise. If your clients' vehicle cannot be safely repaired according to the manufacturer's specifications, they total it. With optional Agreed Value coverage, your clients agree to the value of their car when the policy is written. If it's stolen or totaled, they write a check for the agreed amount. With Rental Car Reimbursement coverage, your clients can rent a car just like the one they own, up to $15,000 total, with no per-day limit and emergency coverage for losses 50 miles or more from home. Your clients are covered for damage to a rental car most anywhere in the world when they purchase a liability limit of $1 million or more. Complex construction and complicated technology can make auto repairs more challenging and costly, but if your client is insured with Chubb, there's no need to worry. The Chubb Masterpiece Program is available to registered members in all states except auto in HI, KY, MA, NC, SC and VA as those are being placed in the legacy-ACE system. Additionally, NJ auto and NC home business are being written in the Chubb Non-Masterpiece environment. Learn more by logging into www.bigimarkets.com and clicking on Affluent Program -New Business. Please join us on Wednesday, March 29th for a webcast with Ray Crisci, SVP & North America Auto Product Manager for Chubb Personal Risk Services, to learn more about this very important topic of auto safety. Big "I" Professional Liability offers quarterly risk management webinars as an exclusive Big "I" member benefit. 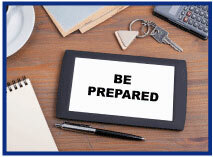 The next session, Agency Risk Management Essentials: Preparing for a Catastrophic Event, will be held Wed, Apr 19, 2017 2:00 PM - 3:00 PM EDT. The webinar will feature several panelists who will not only share their expertise on covering catastrophic events, but also provide effective strategies for insurance agents and brokers designed to reduce their agency's risk of catastrophic errors and omissions claims. Panelists will include Don Burke, MBA, Flood Insurance Manager, Selective Insurance Company; Caryn Mahoney, Assistant Vice President and Claims Specialist, Swiss Re Corporate Solutions; Michael Medford, Attorney at Manning Fulton as well as a Big "I" member insurance agent. Register today to reserve your space; there is no cost to attend. This webinar series is provided by the Big "I" Professional Liability Risk Management team. A comprehensive collection of risk management resources including articles, checklists, and topical educational webinar recordings can be accessed with your Big "I" username and password but logging into E&O Happens. Next time you go to your doctor or dentist take a look around at the specialized equipment. That stuff is expensive! One piece of equipment may be worth thousands of dollars, a small fortune to a burglar. Add in the computers and possible prescription medications on the premises and you have a tempting target. While sometimes the burglars or thieving arsonists are captured, others get away with stealing multiple high-tech machines or just drugs, including a slippery burglar addict that actually partook of morphine before leaving the office. Another aspect of medical office thefts is that medical information is often stored on laptops and other computers which may trigger a HIPAA event. Unlike stolen information due to a hack, which gets around virtual firewalls and passwords remotely, the thieves have complete control of the physical drives and can break in at their leisure. Regardless of how the info is stolen, here is a useful information for your clients about surviving a HIPAA nightmare and also how NOT to inform patients. 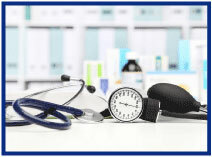 To help cover the specialized and unique risks of medical and dental offices, Travelers offers its Medical/Dental Premier Endorsement. Check out this document overviewing Travelers' appetites and these potential claims examples. 1. What is the maximum per location Total Insured Value to qualify for the Travelers Healthcare endorsements? 2. On this date in 1866 the first of these goes into service, saving countless lives ever since. Name it. 3. Per the first article above, Chubb's Multinational Claims units are in how many countries? TB - What chemical recently turned the water in a Canadian town...pink? Congratulations to our agent in Washington on a Habitational Condominium Program sale of $10,489 in premium!